In the designer’s colorful work, bugs come in all sizes. Big ones are the focal point of her Backyard Collection seen here. Each jewel combines literal anatomy and Daniela’s interpretation of the creature. “For the Pharaoh ring, I wanted to make something elegant and classic, that’s why I used yellow gold and royal blue—ancient Egyptian colors,” explains Daniela. 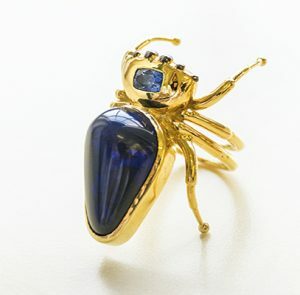 The spider’s gold body is accented with a 12.91-carat black opal from Australia. 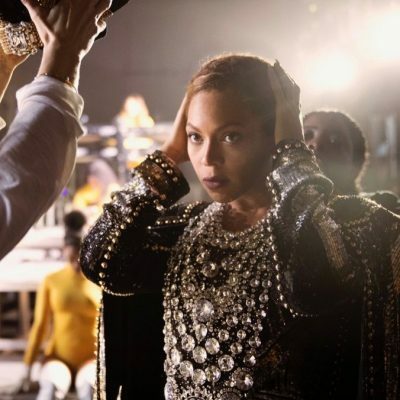 A blue sapphire highlights the head. 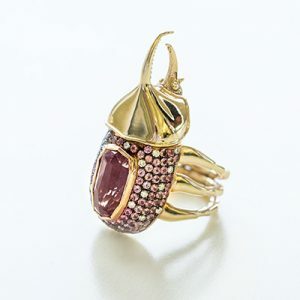 Western Hercules Beetles inspired another ring in the collection. Daniela gave the fierce looking creature a feminine twist by naming it the Fairy Godmother Ring and setting it with diamonds and sweetly colored stones—a 5.72-carat Tanzanian Imperial Garnet and spinels. “I wanted the overall feeling to be soft and magical,” says Daniela. 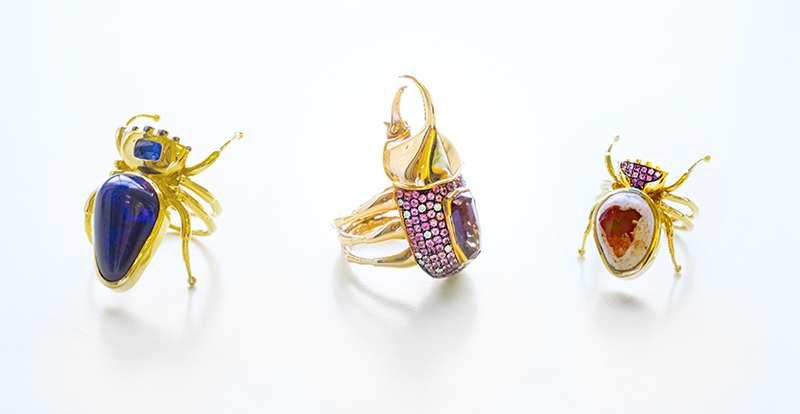 All of the one-of-kind bug rings have unique qualities. 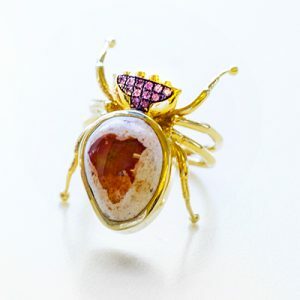 Daniela’s favorite detail in this trio of jewels appears on the red sapphire and gold Mexican Spider Ring.“The Mexican Fire Opal has a natural heart shape in the gem,” she points out. Daniela’s intention for the Backyard Collection “is to treat nature with respect in order to find it’s reciprocity and to create insects that make you have a sense of wonder and happiness.” You feel better about those bugs that will join you at your BBQ now, don’t you? Daniela Villegas jewelry is available at Just One Eye.